Looking for Freshers 2018 events Check here. So we are in September now and you have all been accepted onto your course for uni. So whats next ? Is it sorting out accommodation? Getting your furniture and equipment or family and friends to help with the move ? Get them done so you can move on to the next step. Well we all agree that these are the most important things to do but next on your list must be to remember to get your hands on those all important Freshers 2017 Tickets. 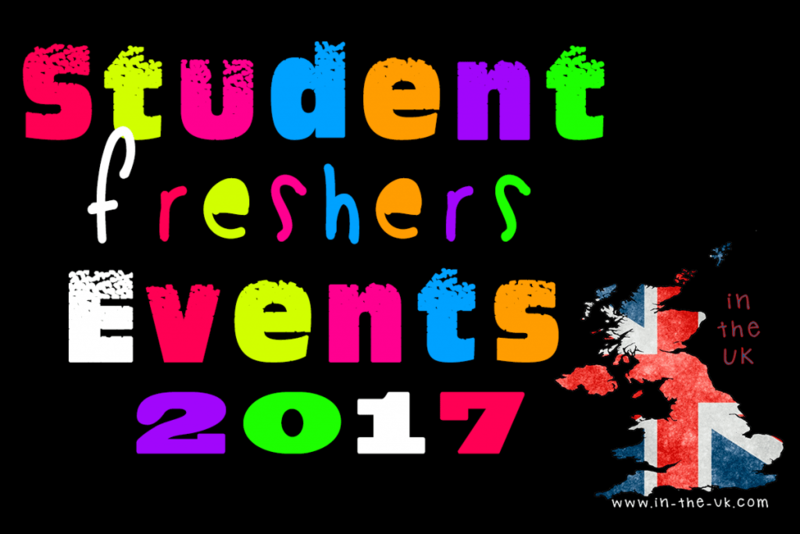 At In the UK and also over on EventsnWales we are happy to help promote a range of Freshers Events from all around the UK. We promote events and Tickets ranging from Wristbands to individual nights in a whole host of cities and towns from some of the biggest names in Freshers parties and Household named Bars and Venues. We work closely with the event organisers to help them promote the events and provide you with a one stop place to find your Freshers 2017 Tickets and events as well as a range of other events throughout the UK. Below are links to the regional pages that we are co-promoting the Freshers events through our Ticketing partner Fatsoma. Underneath the links we have tried to list the areas that are included but remember to check out the region that your off too and find the latest Tickets available. We have a number of events that we are co-promoting in London at iconic venues such as Ministry of Sound, XOYO, Scala, Egg, Coronet and more check out our Freshers Tickets for Events in London blog post for more information. We have a number of events that we are co-promoting in the South East at Junk in Southampton, Shooshh in Brighton, Atik in Oxford, Tiger Tiger in Portsmouth, Halo in Bournemouth, Bar Thirteen in Guildford and a lot more check out our Freshers Tickets for Events in the South East blog post for more information. We have a number of events that we are co-promoting in the South West at venues such as SWX in Bristol, Zero Zero in Bath, the O2 Academy, Halo & Cameo in Bournemouth, Walkabout in Plymouth and many more check out our Freshers Tickets for Events in the South West blog post for more information. We have a number of events that we are co-promoting in Wales including some of the Party Capitals best venues such as TigerTiger and the Iconic Clwb Ifor Bach in Cardiff, also PRZYM Revolution and Metros in Cardiff and more check out our Freshers Tickets for Events in Wales blog post for more information. We have a number of events that we are co-promoting in the North West at iconic venues such as O2 Ritz & Tiger Tiger in Manchester, Krazyhouse in Liverpool, Dalton Rooms in Lancaster, Cruise in Chester, Walkabout in Carlisle and many more check out our Freshers Tickets for Events in the North West blog post for more information. We have a number of events that we are co-promoting in the North East at venues such as Tiger Tiger and Players both in Newcastle and more check out our Freshers Tickets for Events in North East blog post for more information. We have a number of events that we are co-promoting in the East Midlands at iconic venues such as Area Sheffield, Walkabout Derby, Circle Nightclub in Lincoln, the Lacehouse in Nottingham, Blueprint in Leicester, Loughborough Student Union and a lot more check out our Freshers Tickets for Events in the East Midlands blog post for more information. We have a number of events that we are co-promoting in the West Midlands at venues such as Rosies, Players Bar, Duck & Scholar, Lab11 and Snoobs all in Birmingham and Walkabout in Stoke-on-Trent with more to be added check out our Freshers Tickets for Events in the West Midlands blog post for more information. We have a number of events that we are co-promoting in Yorkshire at venues such as Club Valbon in Hull, Canal Mills, Club Mission, The Key Club and Tiger Tiger in Leeds also Popworld in York and more check out our Freshers Tickets for Events in Yorkshire blog post for more information. We have a number of events that we are co-promoting in the East of England at Mercy Nightclub in Norwich and also the Cambridge Wristband and more check out our Freshers Tickets for Events in the East of England blog post for more information. We have a number of events that we are co-promoting in Scotland at great venues such as Walkabout in Glasgow, The Liquid Room in Edinburgh and more check out our Freshers Tickets for Events in Scotland blog post for more information. 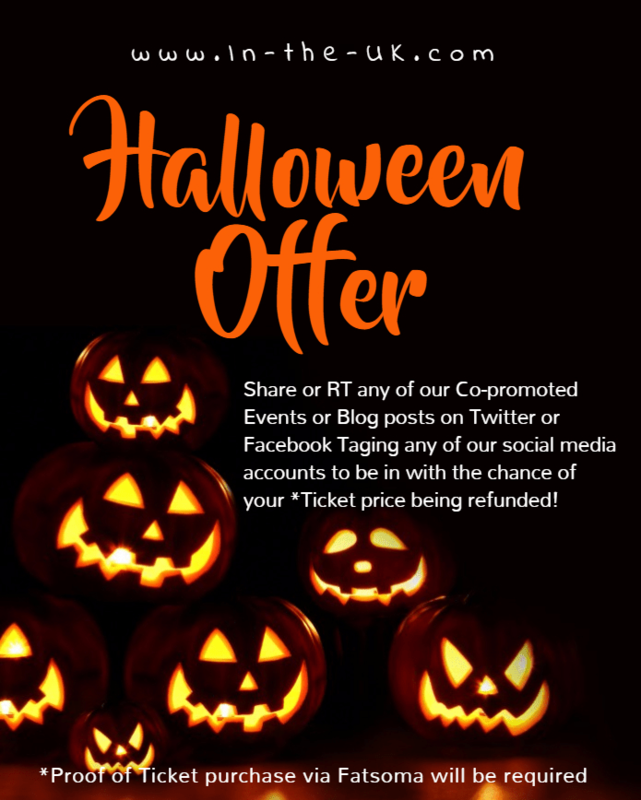 All Tickets promoted are through the Fatsoma platform and are co promoted by In the UK and our Regional Pages, Please ensure that you check and comply with the t&c of the individual events and tickets which are stated by the companies hosting the events.